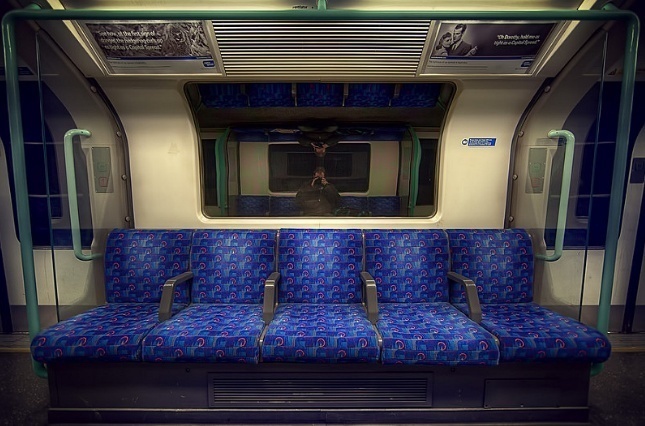 Moquette: we sit on it, we largely ignore it. 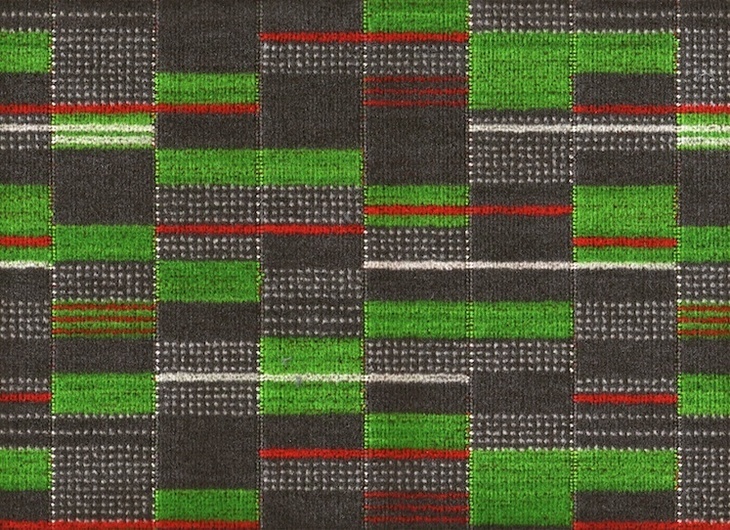 Come to think of it, do you know which moquette designs go with which lines? Fear not: we've gone to the trouble of singling out every design for each line*, and reviewed them as if we know what we're talking about. 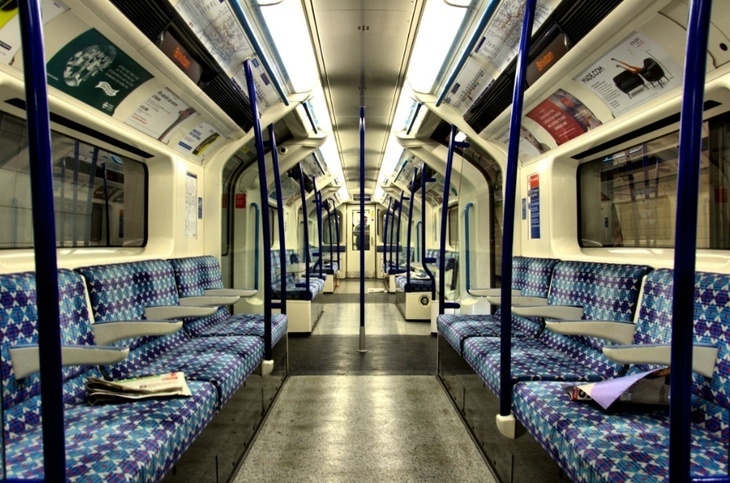 Seriously, you think to yourself, this MUST be a Magic Eye. 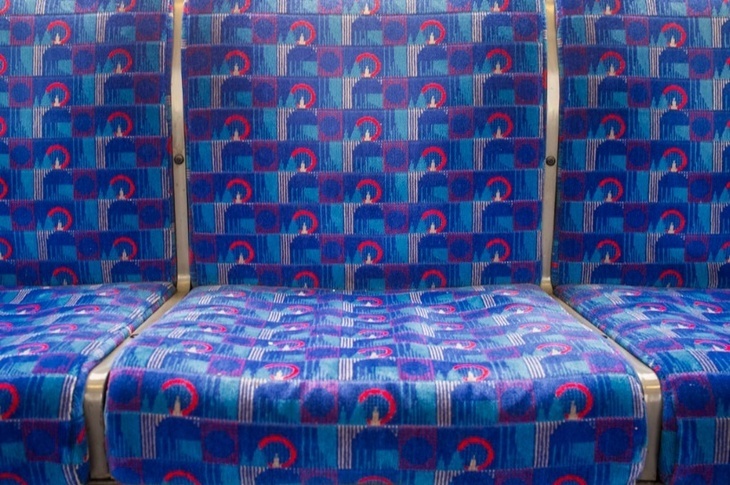 Surely if you squint long enough, then the 3D face of Harry Beck or Frank Pick eventually pops out of the seat? 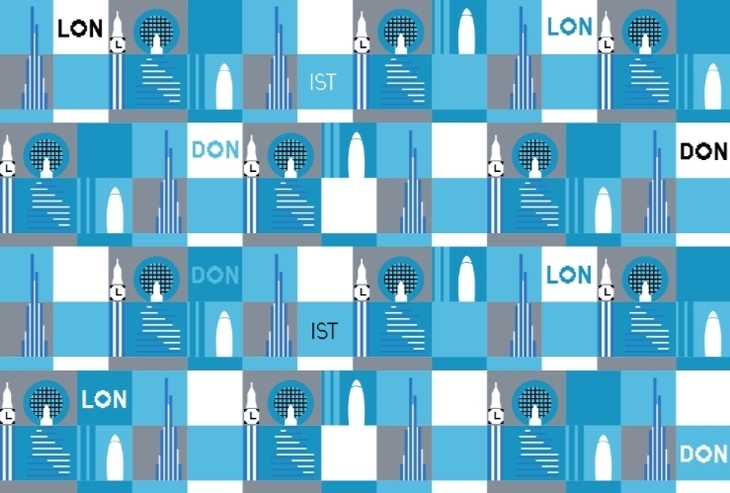 So far, no luck, but you should be able to make out four London landmarks (more of which soon) woven into the fabric. Oh, hello again, Barman. 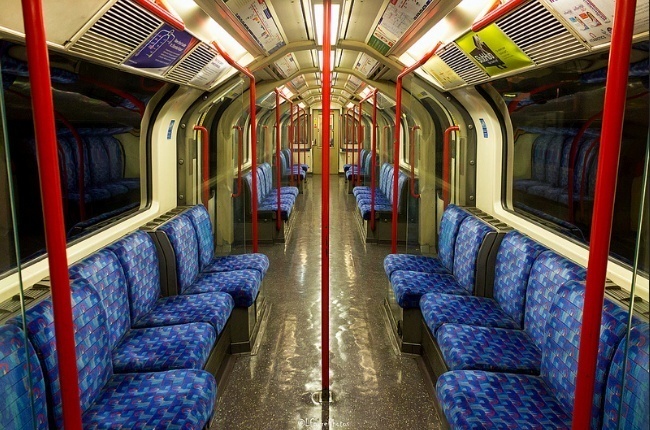 That's right, the official pattern for the Central line is Barman too. Though it's only been with us since 2010, Wallace's Sewell's vivid design has probably burned into your retinas, so you see it when you close your eyes each night. Well. It is Barman. And it has been recoloured. 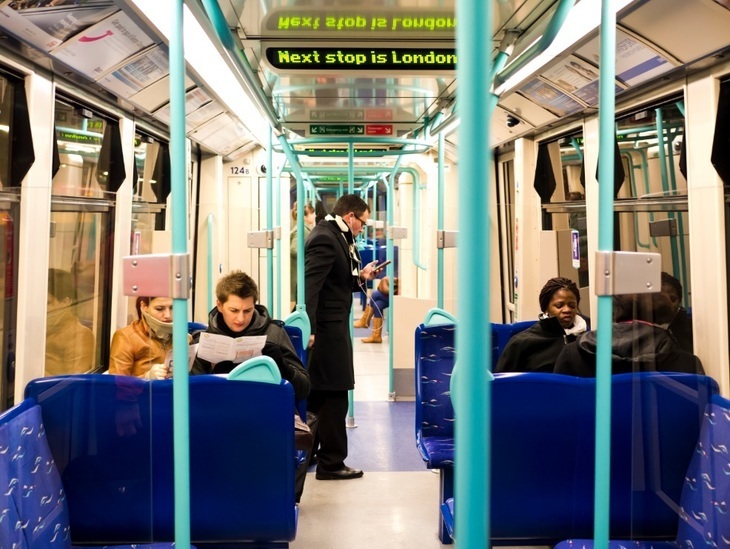 So we can't fault TfL on the logic of this name. While you could accuse someone somewhere of laziness, we actually like Barman Recoloured — it's like when they do a limited edition white chocolate Mars bar. Or an album by the Strokes. Different but the same. It's ★★★★☆ from us. Why Piccadilly, you wily old line, you. While many other lines are, er, toeing the line, and, coming out with all these smart new designs, you're getting away with retro murder. 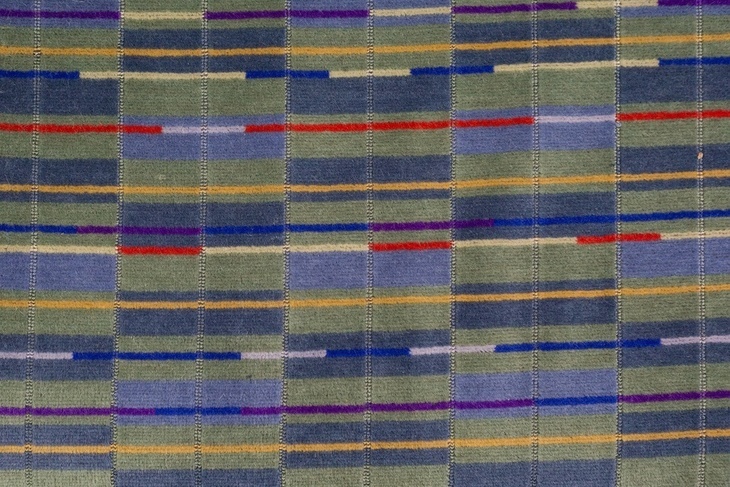 The moquette we've spotted on the Piccadilly line (above) looks like a 12 year old boy's bedroom curtains circa 1995. Or otherwise, the design of a shirt Jazzy Jeff would think twice about wearing. 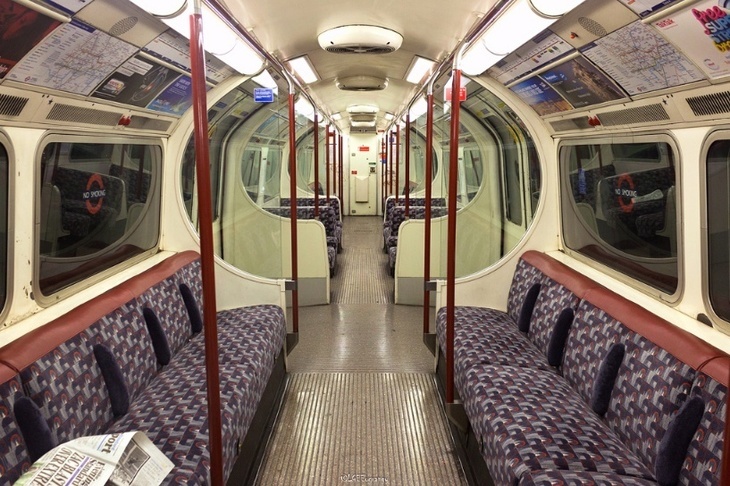 It looks a lot like the former Bakerloo line moquette, and therefore we wonder if it is much longer for this world. Though we can't say we're head over heels with either design, we're going to give them ★★★☆☆ for sheer clinging-on audacity. 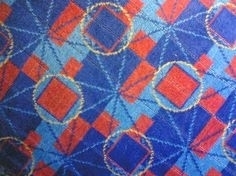 We cannot look at this moquette pattern without thinking 'chocolate orange hipster'. 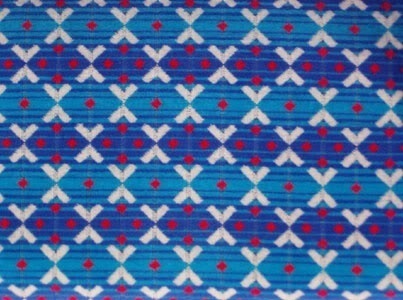 This Tetris-esque pattern — another Wallace Sewell design — can now be seen on everything from cushions to trainers. 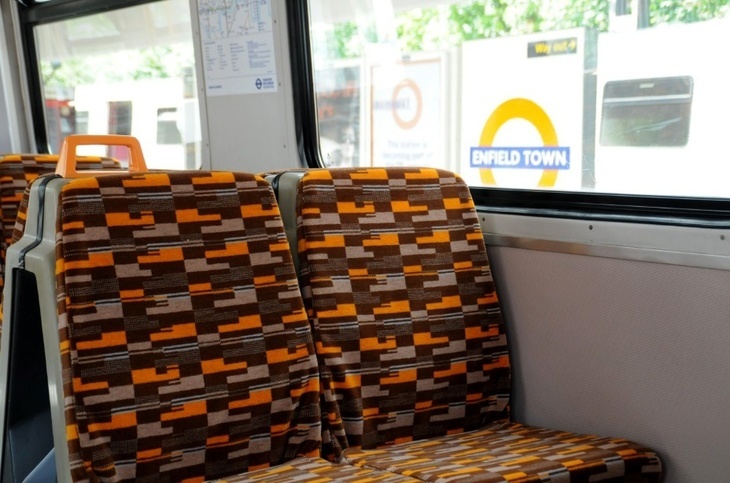 Have a look around you; someone is probably drinking from an Overground moquette mug, or scooping dog excrement into an Overground moquette poop bag. 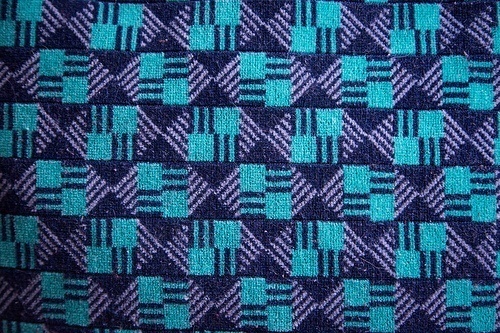 Even London's trams can't escape our keen eye for moquette (buses can, we might do that in another article if anyone reads this one). 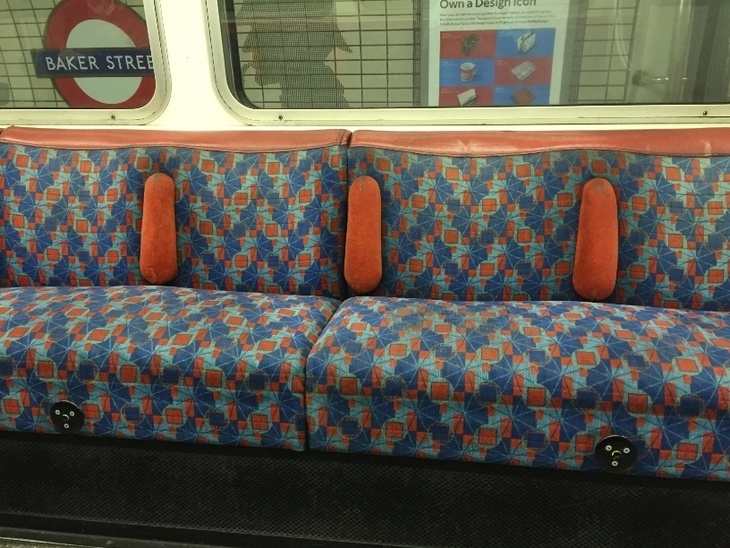 And whoever signed the commission for this will be buoyed to know that it's a thumbs up from our moquette experts. 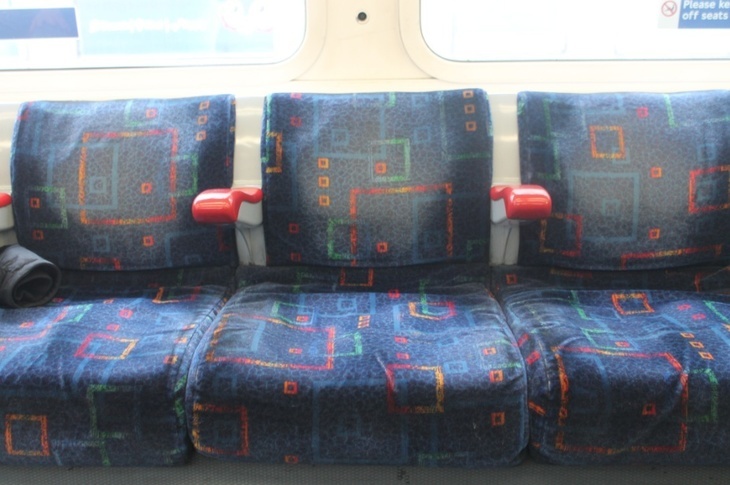 *We're aware that certain tube stock has variations on the moquette designs to those mentioned above. 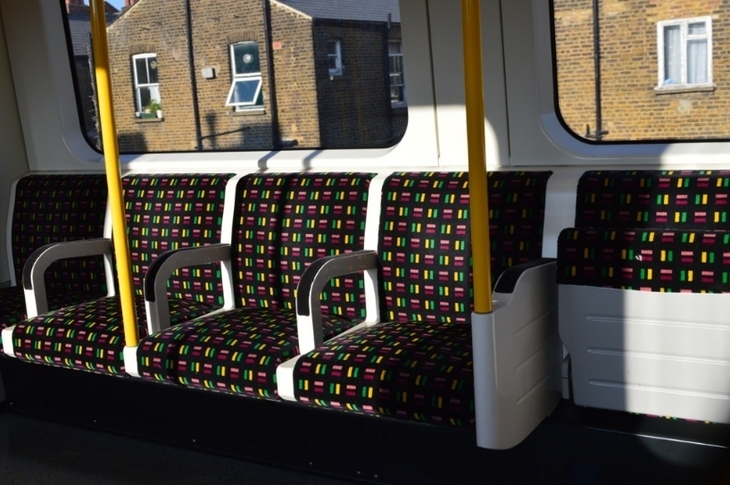 What we're reviewing here comes from TfL's official moquette list, and designs we've spotted ourselves. 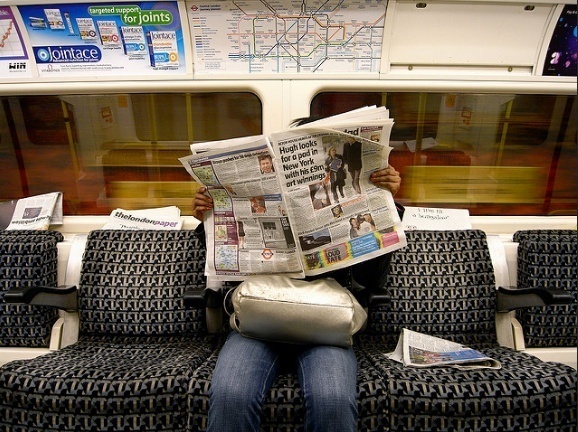 Feel free to tell us what you've seen, in the comments.